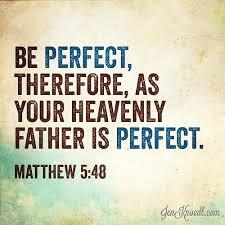 Be perfect as your Father in Heaven is perfect. What does that mean? Most people think it means never making a mistake or never sinning. But that’s not what it means at all. That verse comes from the same chapter as the Beattitudes in Matthew 5. Jesus states that you are not to hate your enemies, but love your enemies. Even tax collectors love those who love them back. But we are called to love those people who do not love us – that is what makes us different from the world, the absolutely inexplicable way we can love those who hurt us and persecute us. It is impossible to do that in the flesh, so when we do that, it sticks out like a sore thumb to the rest of the world and they will marvel at it. But love doesn’t necessarily look like what you think it does. Loving others does NOT mean forcing yourself to be nice and kind to them, ACTING lovingly to them. Forcing yourself to be nice to someone you despise only causes you to despise them that much more. You resent having to be kind to someone who is unkind and who, by all rights, doesn’t deserve kindness. In the end, your fake love will show itself for what it is – stinking acts of fleshly attempts to manufacture our own version of God’s love. Loving others means admitting that we absolutely cannot do it in our own strength and that we don’t have it within us to do that. 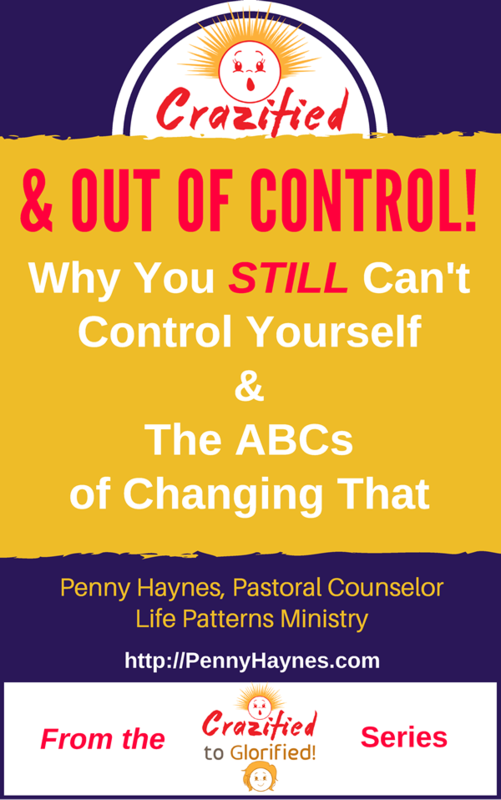 God’s love, agape, is OTHER worldly – it ONLY comes from God. And the only way you can access it and pour it out on others is to literally be ONE with Him, so He flows through you, like a water sprinkler can showers flowers with water. The water is not a part of the sprinkler – it has to be connected to the flow of the source of the water. What is the fear that is cast out with perfect love? The fear of being rejected. When you have God’s love flowing through you, which is a love that gives of itself for the benefit of another without expectation of getting anything in return, you can boldly love others because it doesn’t matter if they love you back. Human love fears not being loved back. God’s love is fearless because He is not afraid of rejection – He just keeps on loving us. If we are truly loving with His love, we will be like Him and love others BEFORE they first love us. We love God because He first loved us, even when we were rebellious and either ignored or hated God. We are called to love others first, before they become “lovable” to us and whether or not they respond lovingly to us. So being perfect does not mean doing everything right and forcing yourself to be nice to mean people. It means repenting of your sin of trying to fake love in your own strength, admitting to God you just don’t have that kind of love in you, and surrendering to the Holy Spirit and asking Him to give you His love for that person. It is the ONLY way to be made perfect in love. Who are you trying to force yourself to love? You will know it because it is exhausting and you end up feeling resentful and empty. Instead, it’s time to directly ask God to love them through you. Be ready for a supernatural experience, because that’s what loving with His love is.